Every Muslim would love to hear the 500 years old Azaan recited in Makkah, the Holiest City of Muslims. Azaan was recited in Madinah City for the first time in the history of Islam and companion of Prophet Muhammad (PBUH), Hazrat Bilal Habshi (R.A) was the first person to give Azaan to gather Muslims. 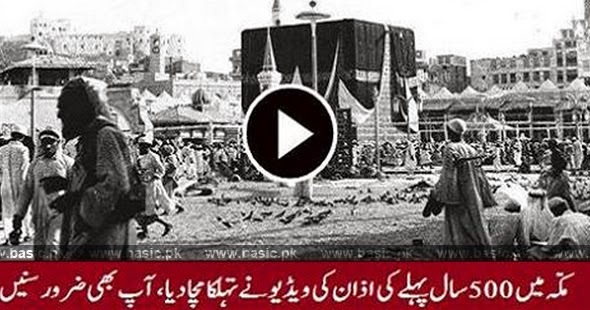 The Azaan was recorded with five hundred years old pictures of Makkah City and Medina as well. It will give you the right idea how simple the city was at that time and definitely the wish of visiting the Holiest city for Hajj will be increased.